Now that's a lot of new games to get stuck into. It's another huge week of releases for iOS gamers, and we've got the lowdown on every last game worth knowing about. Read on to find out what's hot on the App Store for the week ahead in mobile gaming. "Boom Boat 2 is the sequel to the explosive physics puzzler hit, Boom Boat. The underwater garden gnomes are back and plotting to destroy the world. Defeat their plan using the multitude of weapons at your disposal: Bombs, magnets, dynamite, and even gnome-eating sharks! In this epic story of good vs. gnomes, can you stop them before it's too late?" "Simply trace your finger over the touchscreen to build and tweak any coaster you can imagine, in glorious 3D. It's so easy to do that anyone can build them, ride them, crash them - tall, short, long and fast; modern, wooden & crazy. The physics simulation is easy and fun to use, yet rewards each bit of care put into improving your coasters with ever higher scores." "Run for your life and the future of your forest. In this epic HD graphics platformer, your objective will be to run, jump, slide and dodge obstacles and enemies and fight the Kingdom's Queen." "Drive on Moscow, a new strategy game from the award-winning makers of Battle of the Bulge, invites you to take command of the largest battle of World War II. Defend the homeland as the Soviets, or lead a bold push to seize the Russian capital as the Axis." "Start the great evolution journey in the shoes of our ancestors from the first age of human history, and travel through all the great ages: Ancient Egypt, China, Roman Empire and many more, until our modern times; and who knows, what to expect from the future!" 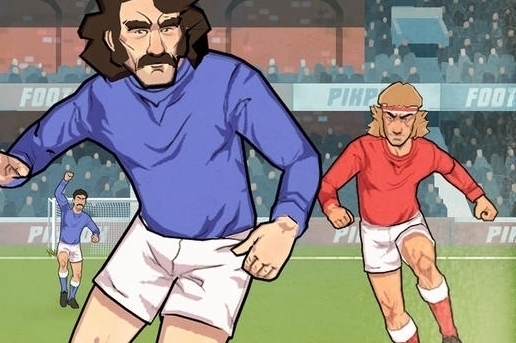 "Flick Kick Football Legends brings Flick Kick to all new heights with more diverse onfield gameplay, team building and management, and a multi-level league structure. Packaged in a vibrant comic inspired style filled with lively characters, quirky scenarios and rich animation, you will guide your team towards a highly sought after championship win to achieve legendary status." "Get ready for an epic puzzle matching adventure in the Kingdom of Arendelle , inspired by the newest Disney animated film, Frozen! Join Anna, Elsa, and more of your favorite characters on a journey to slide and match 75 icy puzzles for free!" "Fight for the ball by alternately embodying Tobias and Moco through more than 40 levels which will severely test your logic. Dodge the traps cleverly set by the other one by successively activating objects, toys and animals to ultimately recover your ball without getting caught. And make sure you don't forget to look for the stars hidden in each scene to unlock bonus levels." "The Legend of Equip > Pants is an episodic, puntastic pantsventure RPG where instead of equipping and upgrading a sword, you have to equip and upgrade your pants." 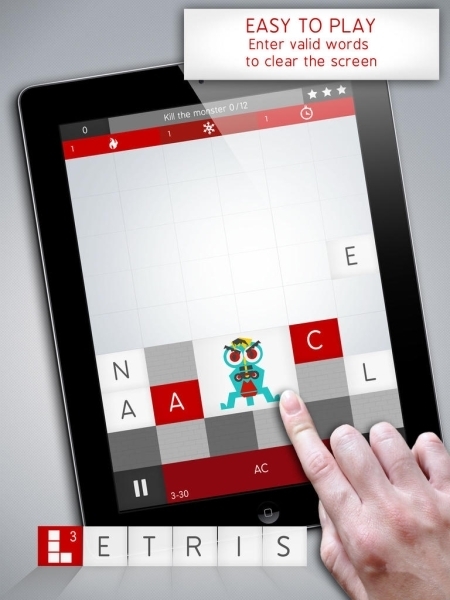 "Letris 3 is one of the most popular AppStore word games. You have to build words to keep the screen clear and empty for as long as possible. It's based on a simple idea that will keep you hooked, encouraging you to go on to the next level and beat your own record." "Help a troublemaking amoeba escape from a laboratory filled with mind-bending contraptions and experiments. Move your squishy new friend safely through puzzles and peril to much on tasty scrummies." "Welcome to Waterdeep, the City of Splendors! A city run by a secret society of masked Lords who rule with shady back-door dealings and unmatched political power. In Lords of Waterdeep players will play as one of these masked Lords and will need to recruit adventurers to go out and complete quests for them." "Monsta Brick Breaker is our beautiful twist on the brick-bashing game genre: Get your Monsta friend to pick up a wacky paddle and embark on a wild journey to lay bricks to waste throughout the times, all the way from the Medieval Age to the Space Age." "OrcOrcOrc is a colorful action match puzzler where you must combat hordes of do-gooders by matching tiles to unlock powerful perks and bonuses as you advance from level to level in an attempt to rid the world for too much goodess." "Space Chicks is a gorgeous endless platformer with simple one touch controls, amazing Space physics, beautiful effects, and heaps of fun." 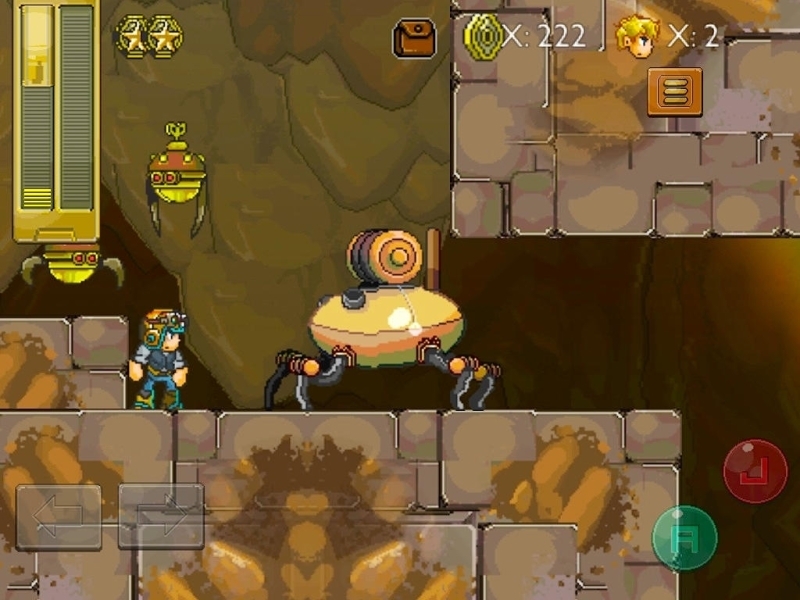 "Steam Punks is a action platformer RPG inspired by classics SNES games like Mega man X. Elite Enforcer Dunns Calhan is on his mission to take down the Bowler Gang and get back Professor Clout's stolen invention, The Grand Reactor." "Based on the hit online series with over 100 million plays, Strike Force Heroes: Extraction is a fresh and unique approach to the runner genre, offering 30 stages of intense level-based action in Campaign Mode, with two additional unlockable endless modes." "Just like in real skateboarding or fingerboarding, Touchgrind Skate 2 is a game of skill that takes 10 minutes to understand but a lifetime to master. Learn the tricks, complete challenges, and unlock new skateboard parts."